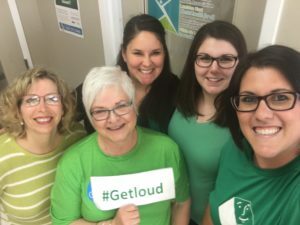 CMHA LK is a great place to work! In February 2011 the Canadian Mental Health Association (CMHA) branches in Sarnia Lambton and Chatham Kent, Ontario merged to form one branch: CMHA Lambton Kent. The merger created a strong branch capable of providing professional mental health experts and additional resources to serve the Lambton Kent region. We participate in Accreditation Canada’s program for accreditation. CMHA Lambton Kent completed an on-site survey during in the fall of 2014. We are very proud that the accreditation decision was Accreditation with Exemplary Standing. We have a positive and fair workplace culture, where staff are provided with opportunities for learning and advancement. We are also big believers in wellness and work-life balance. If you care about mental illness and mental health and you have the right skills, then CMHA LK may be the place for you. In applying for any of the following vacancies, please submit your cover letter and resume in MS Word format prior to the closing date to the email provided in the posting. Please include the posting reference number in the subject line or your email. CMHA LK is committed to a workplace reflecting the diversity of the community it serves and encourages applications from all qualified candidates, including women, members of visible minorities, Aboriginal Peoples and persons with disabilities. If you require an accommodation, we will work with you to meet your needs. This information is available in an alternative format upon request, to accommodate individuals with a disability.